The original for the Humpback Whale was hand carved from a single piece of Butternut wood by artist Randy Groves. A mold was created from the original and a limited edition was cast. 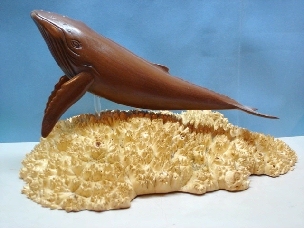 The Whales were cast in two mediums, either bonded pecan wood or in cold cast Bronze. unique.